Chris O’Brien (MCSD.Net, MCTS, MVP) is an independent SharePoint consultant with over 12 years experience working with complex projects on Microsoft technologies. Chris is still very much a hands-on developer, and has led several large-scale web initiatives including e-commerce, WCM, intranet, back-end integration and workflow projects. Past clients include BP, Microsoft, London's Metropolitan Police Service, the Ministry of Defence (UK), Tesco and Standard Chartered Bank. With a background in ASP.NET/Content Management Server/Commerce Server, Chris’s work often involves building public-facing websites or collaboration solutions on SharePoint and he continues to learn with every project. In addition to his day job, Chris runs a highly-regarded blog focused on the development aspects of SharePoint at www.sharepointnutsandbolts.com, and has created several popular community tools such as the SharePoint Content Deployment Wizard. 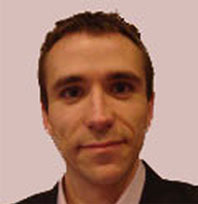 Chris is also a regular speaker at the UK SharePoint user group, and is based in London, England.